All-In-1 Waterproof Towelette removes even waterproof makeup + cleanses + refreshes. The All-in-1 cleansing and makeup removing power of micellar water is now available in a wipe. Like a magnet, the micelles in these specially formulated makeup removing wipes capture and lift away dirt, oil and even waterproof makeup without harsh rubbing, leaving skin feeling clean and soft. DIRECTIONS: Peel label to open. TO REMOVE EYE MAKEUP: Hold towelette over closed eyes for a few seconds, then gently wipe away without harsh rubbing. TO CLEANSE SKIN & REMOVE FACE MAKEUP: Gently wipe towelette all over until skin is completely clean from makeup and impurities. Use daily, AM/PM. No need to rinse. 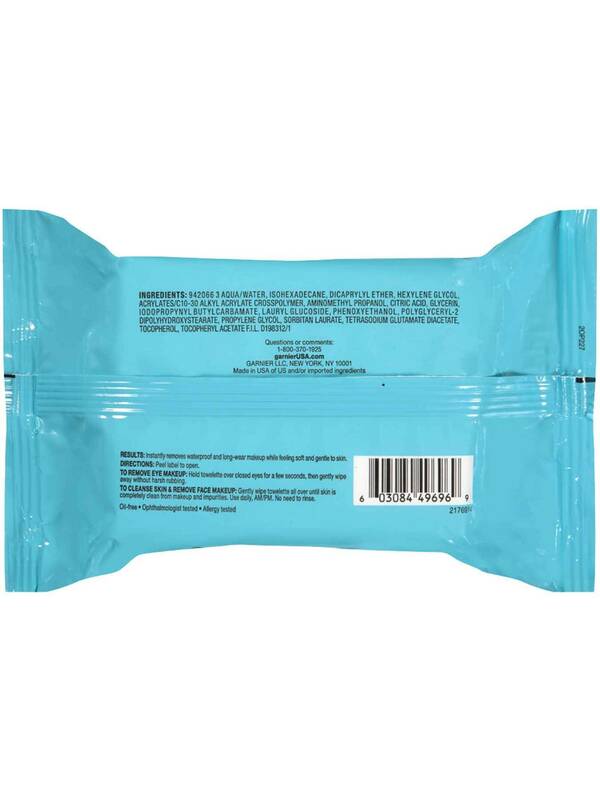 Rated 5 out of 5 by deannam8 from I just bought these makeup wipes a few days ago and they work very well. Takes off makeup easily, no mess, easy to travel with if needed, good for sensitive skin, and the price is good. Would recommend. 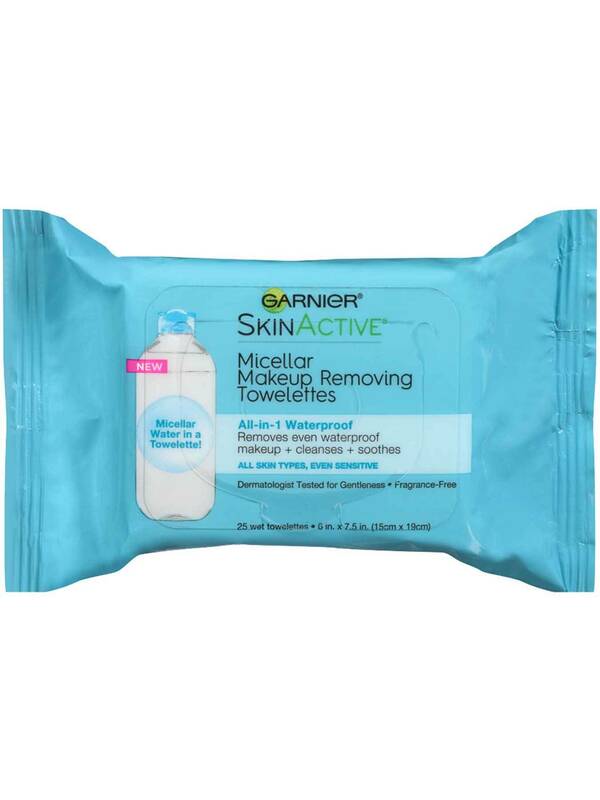 Rated 4 out of 5 by ano1999 from This product was very good, it really removes makeup very well despite i had waterproof makeup. Love this product very much!